The date was November 23rd, 1963, just one day after the Kennedy assassination. 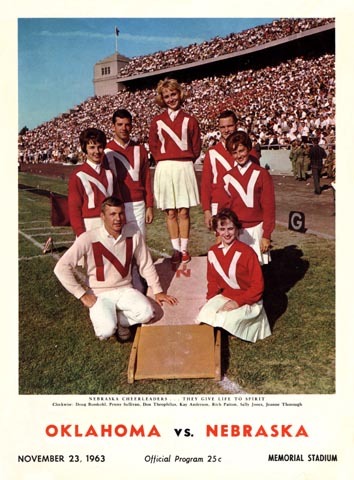 Few were in the mood for celebration that afternoon, but somehow the game went on, and the Cornhuskers won, denying the Sooners a shot at the Orange Bowl. Which was probably not at the top of their minds as they rode back to Norman.